Client: Global Consumer Products Pvt. 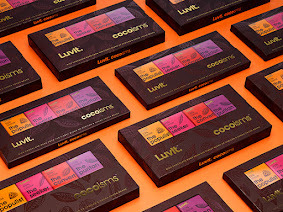 Ltd.
LuvIt is an Indian youth-oriented chocolate brand. 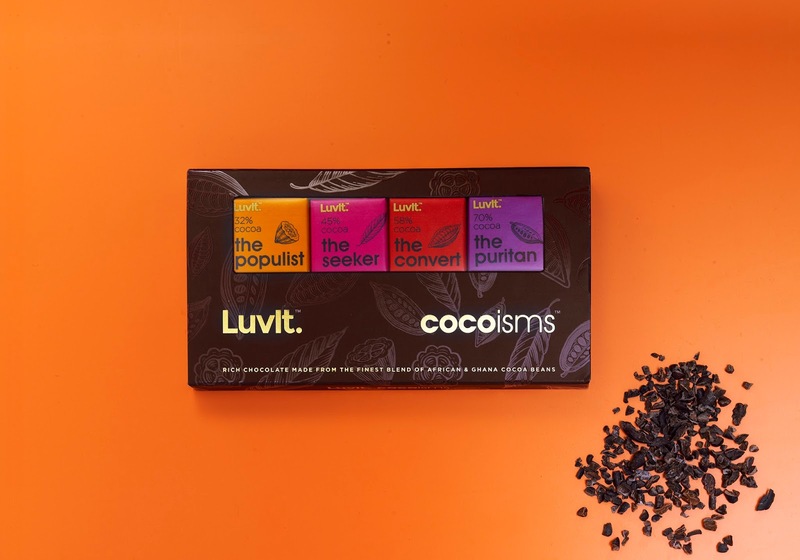 Cocoisms is the brand's Neapolitan chocolates designed as a tasting palette of 4 distinct chocolate flavours for the Indian chocolate market, having increasing levels of cocoa, i.e milk, semi-sweet, bitter-sweet & dark. The brand strategy was focussed on targeting a young adult demographic, that according to consumer insight predominantly consume milk chocolates in India. 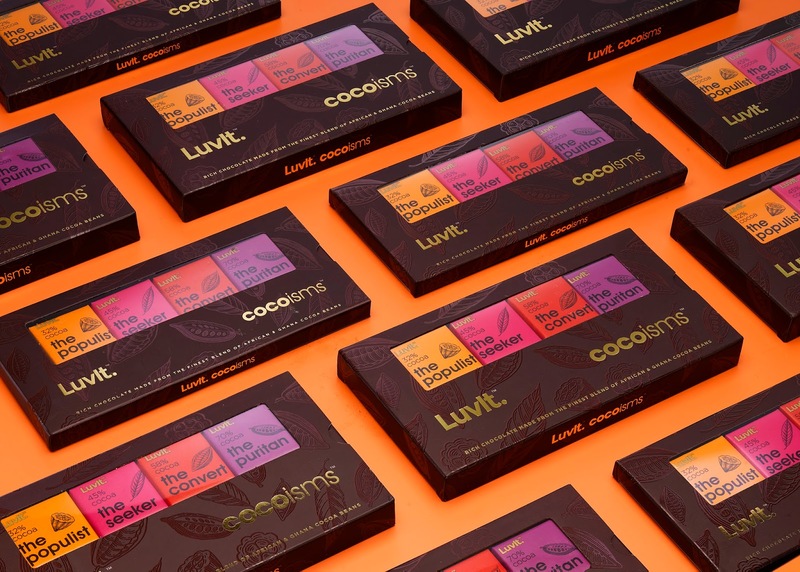 Our objective was to develop a package design solution that could open up the Indian chocolate market, offering new variations in flavour by generating instant curiosity & excitement among young adults to digress from their conventional consumer behaviour and explore different levels of cocoa content in their chocolate consumption. 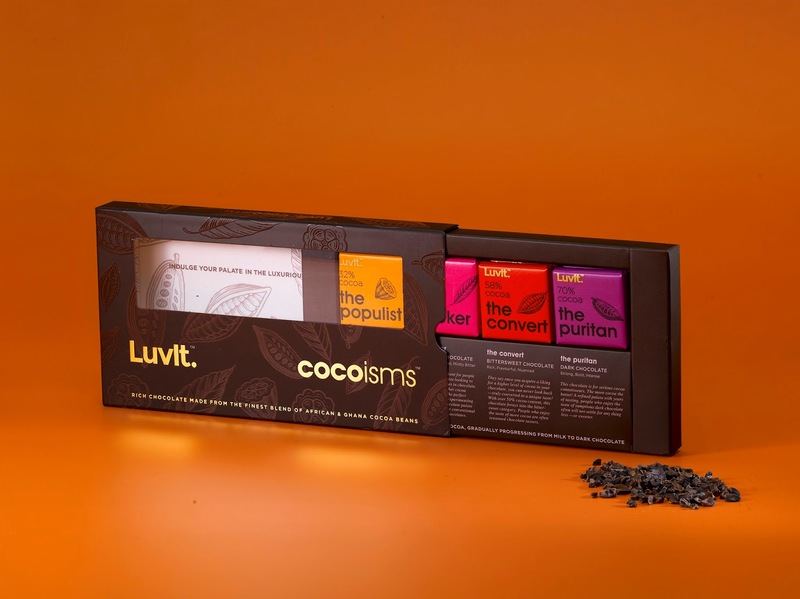 The brand nomenclature was conceptualised as 'Cocoisms', to encourage a playful ritual-like experience with the chocolates. 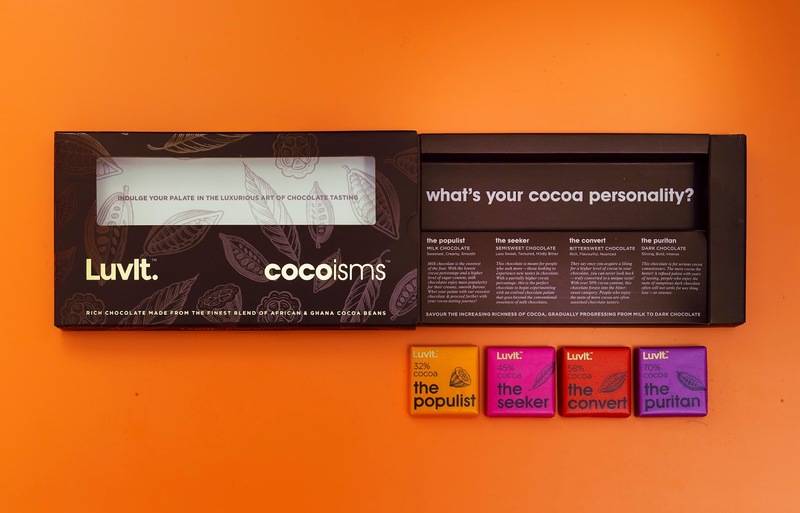 Cocoisms is an initiation for the uninitiated, into the art of cocoa tasting, urging consumers to experiment with varying cocoa levels. For the box cover, gold foiling for typography and spot UV for the cocoa bean background illustrations were used to enhance the packaging aesthetic.